Leader of the Indigenous People of Biafra (IPOB), Nnamdi Kanu, has called off boycott of the 2019 general election. 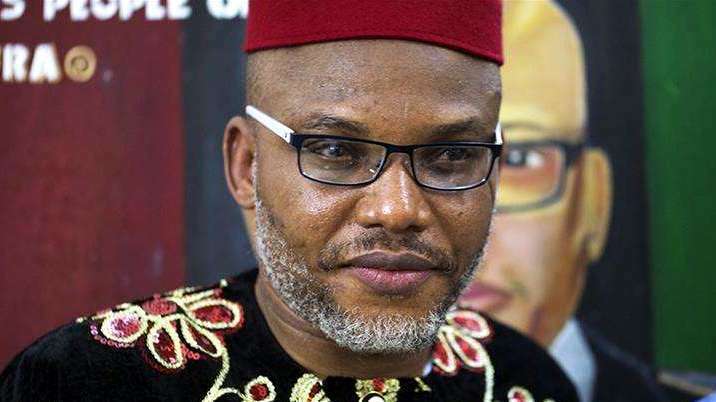 Kanu had urged Igbos not to participate in the polls until certain conditions were met. In a tweet Thursday night, Kanu explained reason for the change of stance. 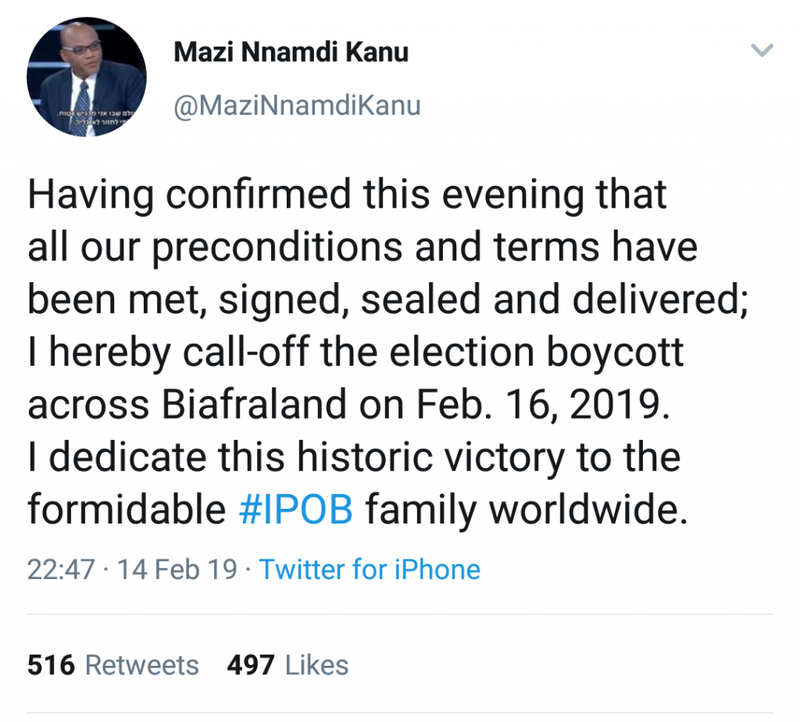 He said: “Having confirmed this evening that all our preconditions and terms have been met, signed, sealed and delivered; I hereby call-off the election boycott across Biafraland on Feb. 16, 2019. Meanwhile, General Abayomi Gabriel Olonisakin, Chief of Defence Staff, has warned that no form of intimidation or harassment would be tolerated on election days. A statement he signed on Thursday said: “Members of the public are also advised to disregard the call to stay at home on the day of the election being circulated in some parts of the country. “The stay-at-home leaflets being circulated and similar on-line messages are part of the handiwork of mischief makers who are bent on scuttling the process and should be ignored.